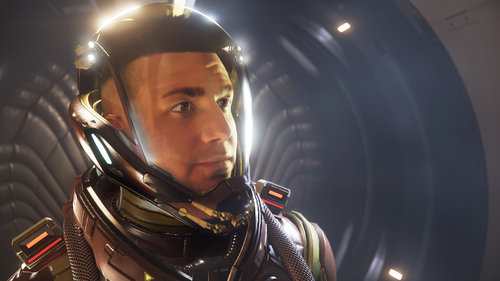 Discussion in 'Star Citizen' started by Horace, Feb 11, 2019. Centurions will receive the Rust Society Venture Helmet. The RSI’s Venture helmet is built from impact-resistant composites and designed to weather the harshest of environments. It also features an anti-scuff laminate face-plate that offers an unparalleled upward field of view, providing unobstructed sight lines to whatever wonders you discover. The Rust Society edition adds a red and tan color scheme so you look good while working hard. 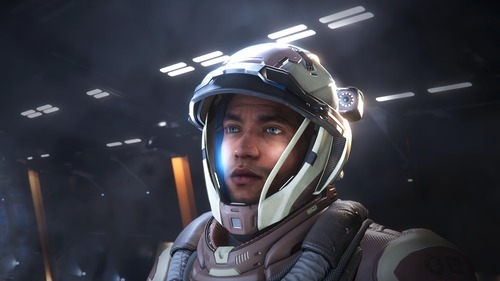 Imperator-level subscribers get the RSI Beacon Helmet in addition to the Venture edition. RSI’s Horizon helmet is a durable and robust environmental enclosed work helmet. The single sheet laminate dome gives you an extremely wide field of view. A pair of side-mounted LED light modules provide additional illumination to make sure you can see what you’re doing. The Rust Society edition celebrates blue-collar workers with an exclusive red and tan coloration that hides dirt and wear and tear well. If you’re an active subscriber, these items will be added to your account on February 18th. If you aren’t a subscriber yet but want to don these helmets, make sure you subscribe no later than February 17th.